The 1851 World’s Fair took place in Hyde Park, London. 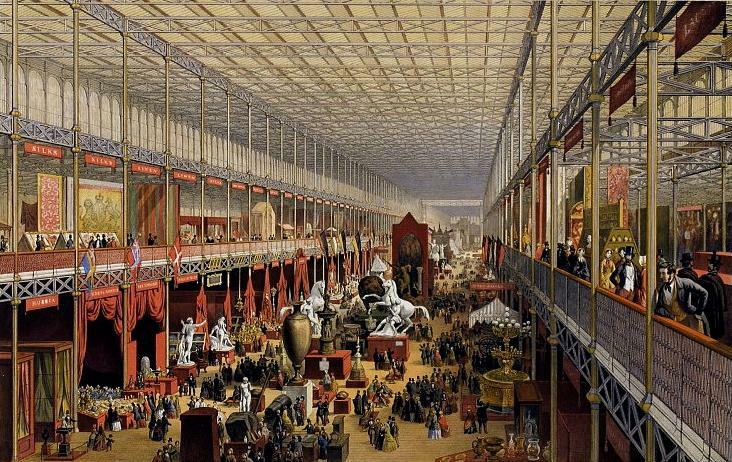 Being the first of its kind, it was titled The Great Exhibition of the Works of Industry of All Nations. How’s that for Victorian? 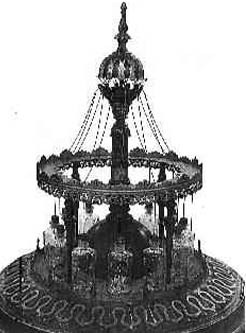 One of the exhibits featured at the Great Exhibition was the Tempest prognosticator, a bottle with twelve leeches in it that acted as a barometer. When a storm approached, the leeches would get upset and try to get out of the bottle. As they tried to get out they would ring a bell, and the number of bells would indicate the severity of the storm. The name “Tempest prognosticator” sounds like something out of a fantasy novel, for sure. 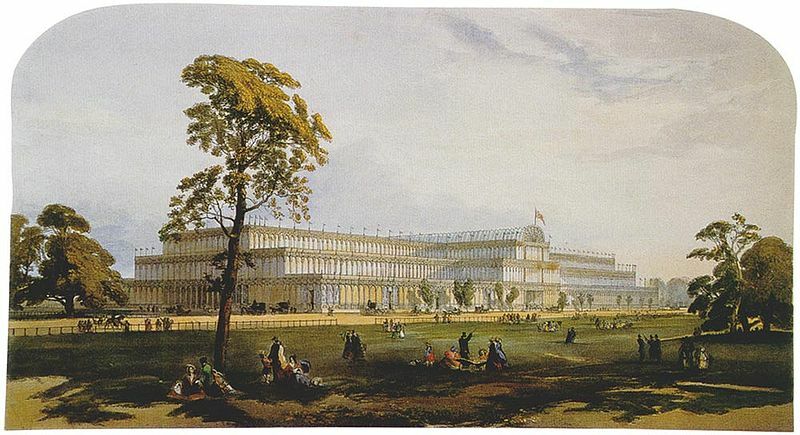 The Great Exhibition took place inside of a building called the Crystal Palace. This building went from design to completion in just nine months. A huge glass house, the interior of the Crystal Palace was littered with trees and statues to emphasize man’s superiority over nature.